Are the French Doomed to Be Monolingual? If you have ever been to France and happen to address the French in English, you already know how funny they sound. And being funny is not the worst thing you can suspect these people of. Their English is just third-rate, to say the least, or even out of stock. If you have ever been puzzled at such a barbarism, well, now it’s time to get things straight. You’re used to thinking that not mastering English up to scratch is equal to some kind of barbarism? Well, for the French, I’m afraid, it’s anything but that! On the contrary, they are very likely to think the same thing about you (savage!). In case of your naive confidence in a certain system of widely accepted conventions, you risk falling out of grace. Don’t get me wrong, the French are nice people despite being often labelled as arrogant and pretentious, but their language is not just something extremely valuable to them, that’s no less than an object of idolatry. And not without good reason if you remember the reach and reputation of France and its culture throughout a number of centuries. Understandably, the French language is kind of last resort or final abode for such philosophy. And that’s not necessarily a bad thing. In France, it seems to you that everything around you tends to be different, especially if you’re one of those who are used to visiting primarily English-speaking countries. It doesn’t mean that you feel like you were born yesterday all the time, but epiphanies come upon you in flash, and they are nowhere to hide from. All of this is irresistible to be called “pushback to globalization”, and even if sometimes it falls short of being an all-around explanation of local realia, it doesn’t lack some felicity. The French invented the term “Mondialisation” to challenge the notion of Globalization. Actually, that is the same Globalization, but viewed positively, and filled with high humanistic charge. In France, some weird talk has been on the front burner for some time. The pith and marrow of it came down to already familiar speculation about the well-known formula “nature vs nurture. ”Surely, lots of phenomena have been examined with its application, but this time around it was used to describe the nature of skills for foreign language mastering. Same thing can be asked about essay writing. As strange as it may seem, “nature” proponents, as grave as a judge, put forward arguments about some innate capacities of different nations to master a limited number of languages. As a result of long and dramatic debates, “nurture” believers, thinking that there aren’t, in fact, any boundaries to how many languages you can know (and besides, the necessity of being multilingual is exactly something innate, for that matter) seem to gain more and more ground. So, maybe there are no linguistically damned nations at all, and the French people should look for the root of all evil elsewhere? If That’s Nurture, Who or What Is to Blame Then? The first suspect (and may be the last one!) 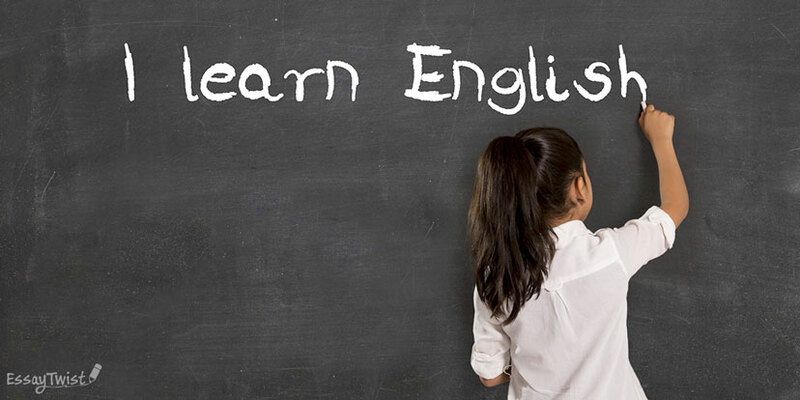 is clearly education system and traditions in teaching languages. A language can be learnt beyond a language itself. That’s the key phrase that assumes the role of great divide between the old-fashioned methods of teaching, on the one hand (and learning as well, as teaching defines learning to a large extent), and teaching as initiation to culture itself, on the other hand, as foreign culture is without a doubt the first thing to inspire us to spend energy learning grammar rules or practicing pronunciation. Obviously, any lack of attention brought to this “high level” entails retrogression and self-righteousness in equal parts. Thus, the situation with the French who are already used to feel unable to speak any other language apart from theirs is emblematic for any other country with such problems. DNA has little to do with it, whereas promoting the prestige of other languages and the sheer necessity of having command of them at an adequate level can really make a difference. Rated 4.6 | 74 votes.